The Supreme Court on Wednesday, sacked Senator Ali Modu Sheriff as the National Chairman of the Peoples Democratic Party. 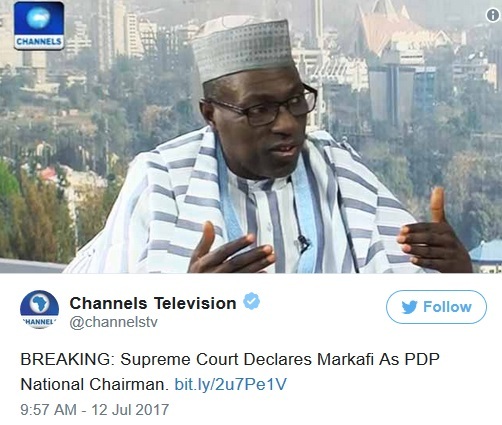 In his stead, the court reinstated Senator Ahmed Makarfi as chairman. The judgment was delivered by a panel of judges of the apex court on Wednesday morning.